- View the Smith Researchers List. These are Smith researchers who have supplied trees, DNA or not. All those researchers who have registered have a link by their family names on the person or family page that you can click on to get to their profile. 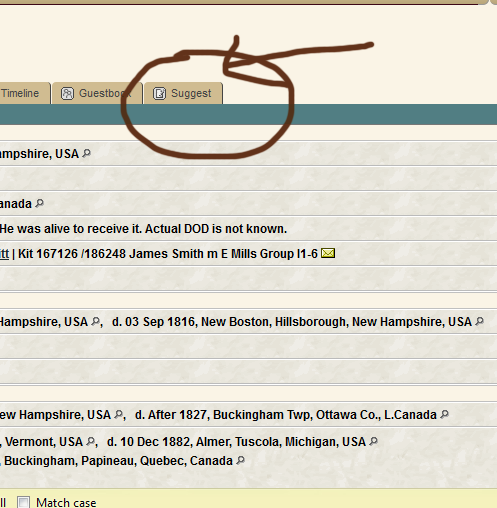 -On every Smith DNA report, including the individual kit #, there is an icon that looks like an email. That icon can be clicked to send an information request. DNA tester. - Leave a message on the guestbook). Some of the information in the tree portion is Smith info from various sources and may not have an *owner*. If you look at a given person on TNG and see a mail icon to the right hand side of the *PersonID”, means that someone has supplied his or her tree and there is a way to email that person. click that link. clicking there will take you to a profile link that will let you contact the person after passing a captcha. You can also look at the list of members by tree Smith Researchers. This list is sorted by the early ancestor of the Smith member. Not all Smith DNA members have supplied trees; likewise there are many Smith members who have supplied trees but have not tested DNA. Smith Trees/DNA kits You can also look at the DNA reports to find a mail icon on every single kit, tree or not, to leave a query. 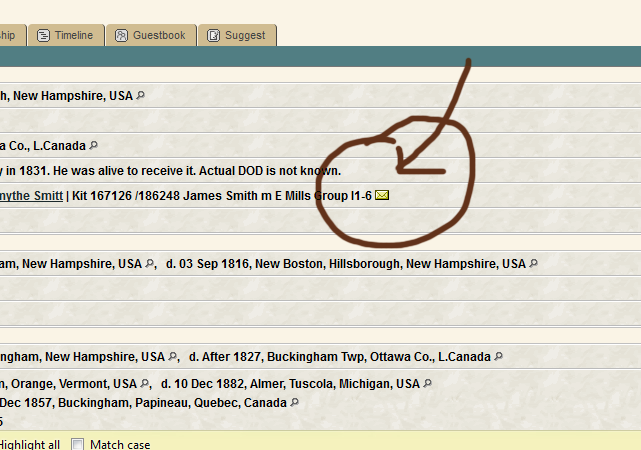 You can post a query about that person on the guestbook OR you can post a general query about anyone you’re looking for. You may also, if not logged in, *Suggest* changes. Your suggestion will have the weblink url of the person you want to change information about and will be sent to the Smiths administrators.